In my previous post, I talked about snagging an old IBM ThinkVision LCD and a 2004 Dell Optiplex desktop; the same machiens my school used back in the day. I've got a Pentium 4 from my old school in my room. Like actually from the school, grabbed it when they were upgrading to new PC's. It actually gets a hell of a lot of use. Web, word processing and lots internet radio mostly. If it still works ill put it to use! Indeed! I'm continually amazed by what can be achieved on so–called crappy or ancient hardware. My first gen Mac Pro flies with Mavericks, and the latest Fedora Linux was a pleasure to use on my ThinkPad X40 and X61 laptops. There's honest to goodness life left in so many machines that are being thrown away; an internet radio receiver is a great example. 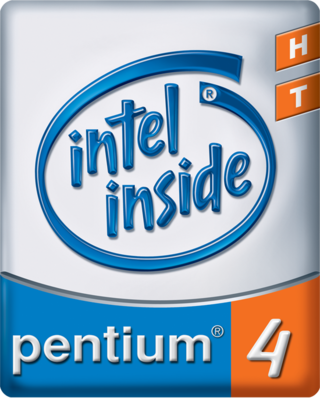 The Pentium 4 was also a real watershed in CPUs and PCs in general. Arguably the crowened winner of the megahertz wars, the P4 was developed for a time when people bought computers based on clock speed.